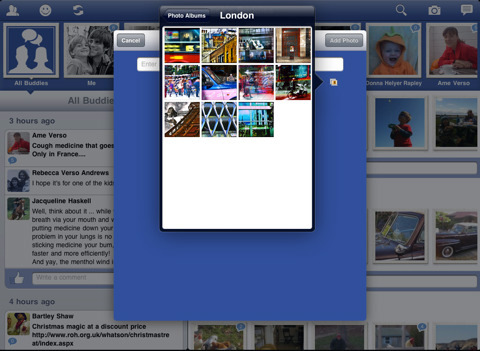 Buddies is a Facebook app for iPad that concentrates on photos and status updates. Easy access to Facebook’s newsfeed and photo sharing features. It looks the part, almost like an official app. Easy navigation to friends’ feeds. 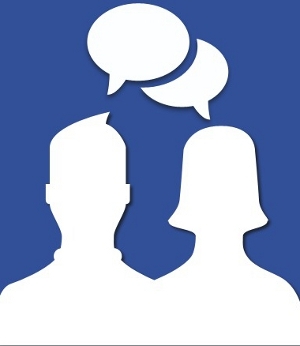 Limited support for Facebook features beyond status updates and photos. No full-screen mode for photos. While Facebook has so far refused to address iPad owners’ cries for an official app, this has left the door open for enterprising developers to create their own Facebook apps for Apple’s tablet. The latest, launched today by UK-based Nick Kuh, is Buddies. Rather than try to recreate the entire Facebook experience inside an app, Buddies concentrates on two key elements – status updates and photos. When held in landscape mode, the app is purely a Facebook photo browser. Friends who have recently posted photos are displayed across the top of the app, allowing you to dive into any friend’s gallery, while a more traditional newsfeed list of recent photos takes up the majority of the screen. You can tap any photo for a closer look, although for some reason you can’t ‘Like ‘ or leave a comment on individual photos. Instead, you can only comment on entire galleries (UPDATE: You can actually comment on individual photos when in landscape mode, using the left-hand column. We’re told that the ability to Like will hopefully be added soon). 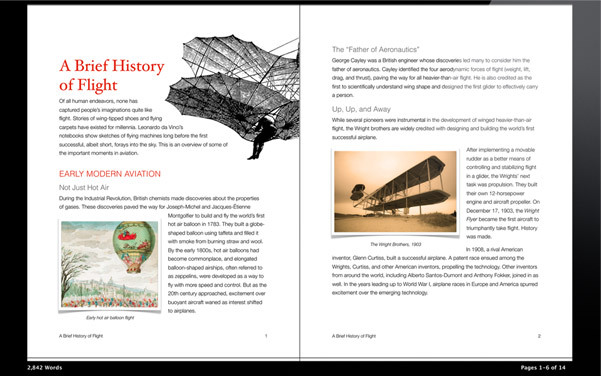 There’s also no full-screen photo browsing mode, which is a shame. Swap around to landscape mode and status updates enter the mix, with your friends’ latest news listed on the left side of the screen. It’s easy to ‘Like’ and comment on updates, while icons in the corner of the screen make posting your own updates and photos stored on your iPad a breeze. 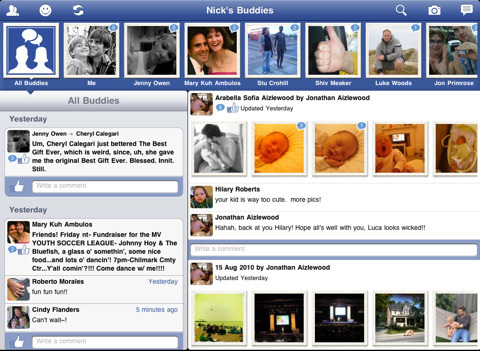 As you can see from the screenshots, Buddies is pretty much what an official Facebook app would look like. In fact, if status updates and photos are the most important parts of Facebook for you, this app could be all you need for your iPad. In reality, you’re likely to want access to chat, messaging, events, Places, videos and other elements of the Facebook experience at some point.